by Amanda Mackey Release Date: January 5th, 2016 ★✯ SYNOPSIS ★✯ Life is sweet in The Sanctuary—until Lillian Harris is thrown the curveball of her life. Lillian is perfectly happy cocooned within the lofty perimeter fence of The Sanctuary. Her Sanctuary—a vast oasis for rescued lions, tigers, and elephants. The animals are her world. So when Lillian’s dad tells her a nineteen-year-old criminal who’s fresh out of prison is coming to The Sanctuary as part of a rehabilitation program, Lillian is more than a little apprehensive. She interacts with animals more than humans—and definitely not criminals. Pain is now up for pre-order!! I am so excited to reveal my cover for Pain!! Here it is and I think it is just stunning. Thanks so much to Limitless Publishing and TOJ Publishing Services for such a beautiful cover. Big shout out to Theresa McClinton for helping to make the blurb shine. Love your work! 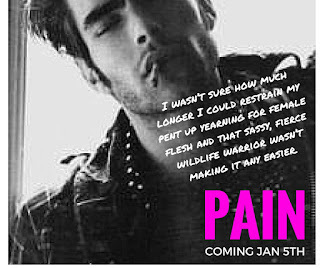 Pain is releasing Jan 5th! "Pain" cover reveal in 3 days! Can't wait to share it with you all! FINDING YOU (Finding You Series Book 1) by Amanda Mackey, Author is available on Amazon! After surviving a beating that puts her in hospital she is determined to get her life together and move forward. After a whirlwind romance, Dakota’s trip is cut short after discovering her ex-husband has injured her beloved father. Not wanting to leave her blissful new relationship with Kyle, she has no choice but to return home without him while he finishes filming a movie. With secrets locked away and painful memories fading, Dakota soon learns that no matter how far or fast you run, the past always has a way of catching up to you. Taken at gunpoint by her deranged ex-husband and driven to a secluded location, she soon learns just what he has in store for her and how crazy he really is. 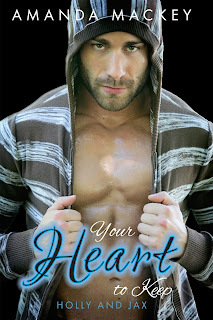 Review for Your Heart to Keep. "Let me tell you something about this book. Right in the beginning I was crying. I mean ugly crying. 11% into the book people! How can you cry so much when you haven't really got to know the characters? Well because the darn book is written so good that it makes you feel as if you do know them. Like your a part of what they are going through. How do you get over losing the love of your life? Your heart? How do you move on?! OMG I'm crying just writing this. I don't know what to say without giving everything away. This story is so heart breaking. The struggles Jax goes through. The anger he has for someone he hasn't met made me kind of dislike him but then made me feel bad all at the same time. How do you deal with The feelings you have growing inside that you can't control. Tears. I'm was a mess. So good." Raised on a Kentucky farm, Madison is stunned when a conversational slip reveals her father Michael is a famous ’90s rock star known as the Grim Weeper. Michael left the spotlight and his mansion behind when Madison was dropped off on his doorstep by a woman in a black mask. A dark past is revealed, and the only thing Madison isn’t allowed to know is her mother’s name. Though she does hope to persuade her dad to return to the stage, Madison’s real mission is to discover the identity of her mother. But she is slightly distracted—literally—by the boy next door. Giovanni Abate’s father is an action film star, his stepdad is a major designer, and Gio has his own claim to fame. Madison catches the handsome, young Italian actor’s eye, and their mutual attraction makes for a hotter summer than she ever could have imagined. 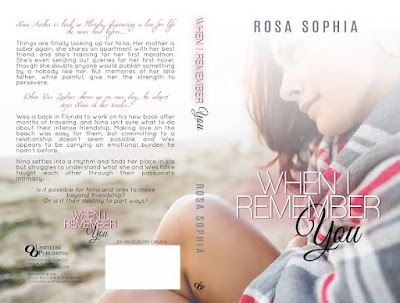 Happy Cover Reveal Day to ROSA SOPHIA! When I Remember You releases NOV. 17th through Limitless Publishing! Things are finally looking up for Nina. Her mother is sober again, she shares an apartment with her best friend, and she’s training for her first marathon. She’s even sending out queries for her first novel, though she doubts anyone would publish something by a nobody like her. But memories of her late father, while painful, give her the strength to persevere. Wes is back in Florida to work on his new book after months of traveling, and Nina isn’t sure what to do about their intense friendship. Making love on the beach was easy for them, but committing to a relationship doesn’t seem possible, and Wes appears to be carrying an emotional burden he hadn’t before. Here is a teaser of my new novel titled, Pain. It is releasing on January, 5th 2016. I have a new blog. I was having trouble with the other one so I am starting afresh. Welcome! Join my newsletter to stay updated on all my releases, giveaways, competitions and teasers. I will also be sharing fellow Limitless Author's cover reveals and new releases.